I am sure you have heard about what gardeners call the hungry gap. Those dreaded weeks in the spring when the over-wintered crops from the last year finish and go to seed and the new ones are not ready yet. 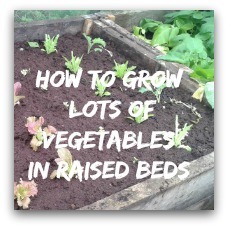 That's when you want some easy to grow vegetables that mature quickly to fill the gap! 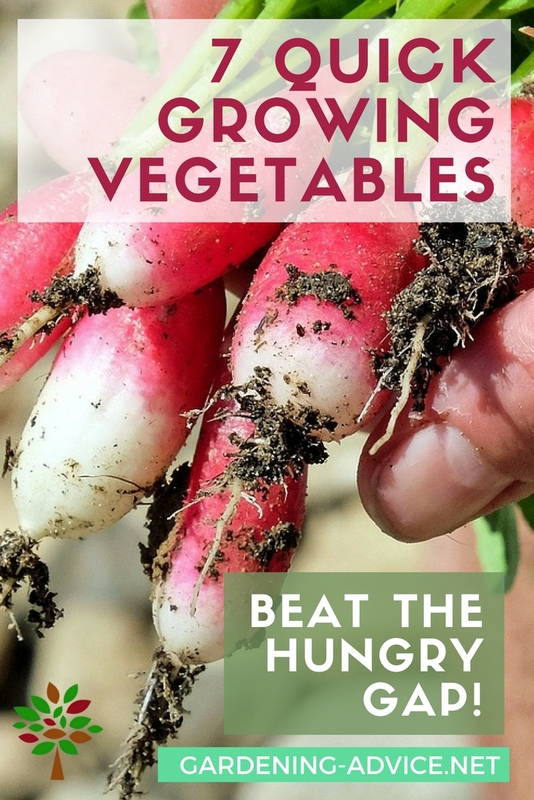 Here are some easy to grow vegetables you can start off in late winter or early spring in a greenhouse or on a windowsill. 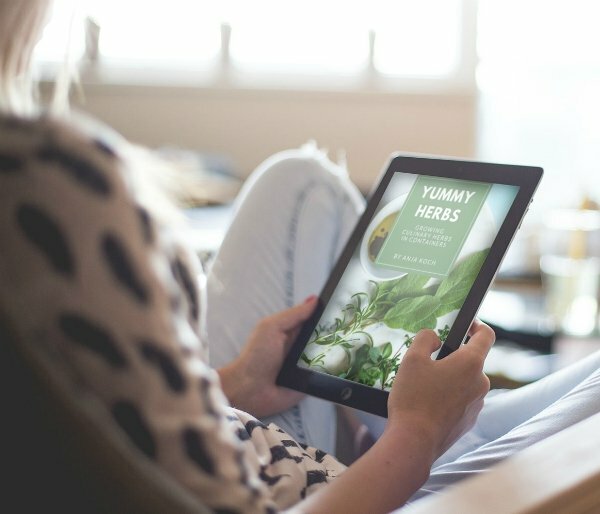 They don't require much heat and will reward you with some tasty greens to get you over the hungry gap! Turnip is a root vegetable with a flavor that is in between a radish and a kohlrabi. They can be eaten raw or cooked. I personally like them grated into a salad. 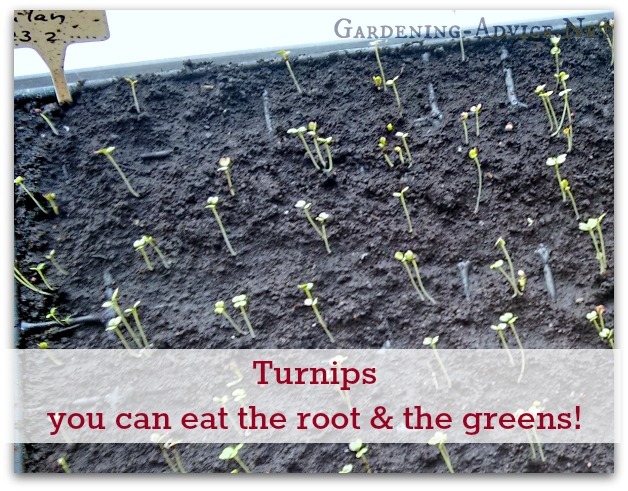 You can also add the turnip greens to a salad or cook them like spinach. We sow the first batch of turnips in February into modular trays in the greenhouse. 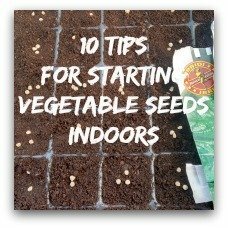 You can check out my tips for starting seeds indoors here. By early April, they are ready for planting out. If you plant them outside in early spring they should be covered with a floating row cover or a hoop tunnel. They should be ready within 50 days of sowing and are best grown in spring or autumn. Radishes are another great crop for early spring. They don't really like the heat of the summer and are much more tender and less spicy if they are grown at cooler temperatures in the spring or autumn. As with the turnip, you can eat radishes raw or roasted. 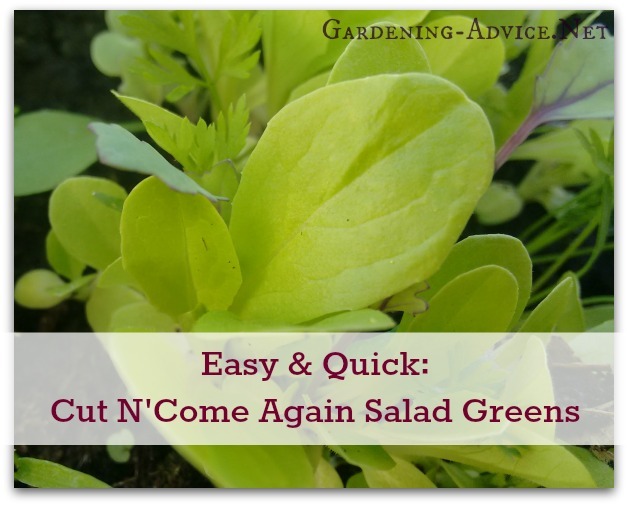 The greens are also edible and are a nice addition to the salad bowl. Sow radishes directly into the ground. If you sow too thickly by accident you can use the thinnings as a salad green. 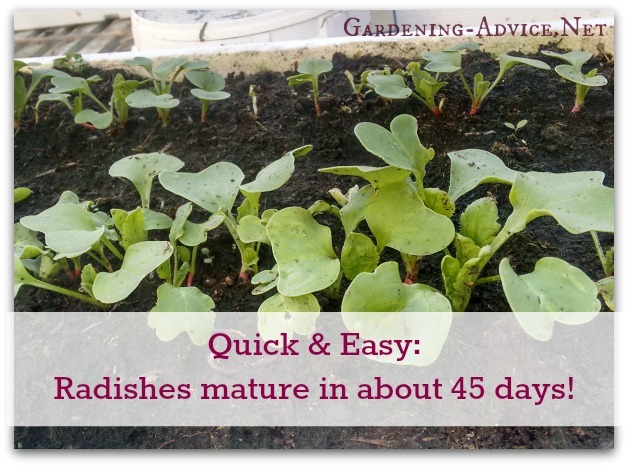 The Radishes should be ready within 45 days. 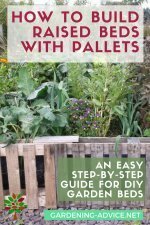 Here are more tips for growing radishes. 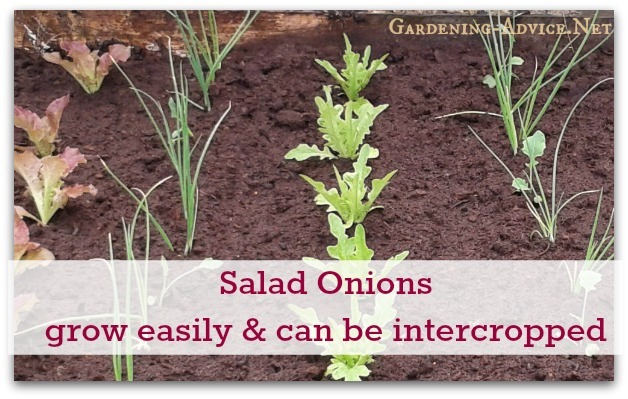 Salad Onions can be sown in February in a greenhouse. The juicy and flavorful greens should be ready by late May or June. Later sowings can be made directly into the soil. 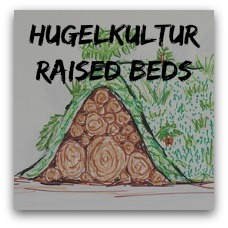 They can be planted out under row covers to speed up the growth a bit. 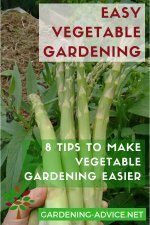 This easy to grow vegetable is usually eaten raw in salads or is a great addition to stir-fries and soups. If you want some fast growing early greens for the salad bowl you have to give baby leaves a try. The principle is quite simple. 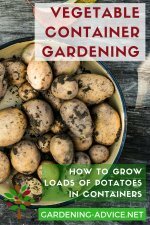 You sow a mixture of different seeds quite densely into containers or grow bags and harvest the leaves while the plants are at their baby stage. 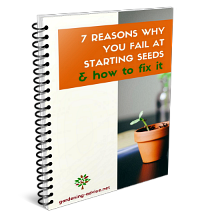 You can harvest these several times before they get too tired and need to be replaced. Suitable varieties for this are lettuce, kale, arugula, spinach, mustard greens, chard or chicory. You can buy pre-mixed cut and come again salad mixtures here. 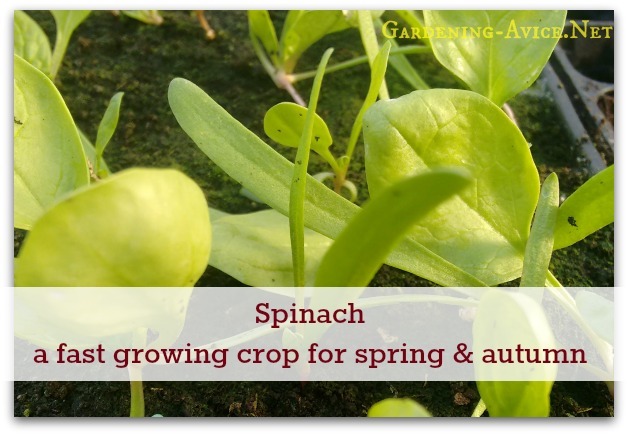 Spinach is a great crop for spring or autumn. 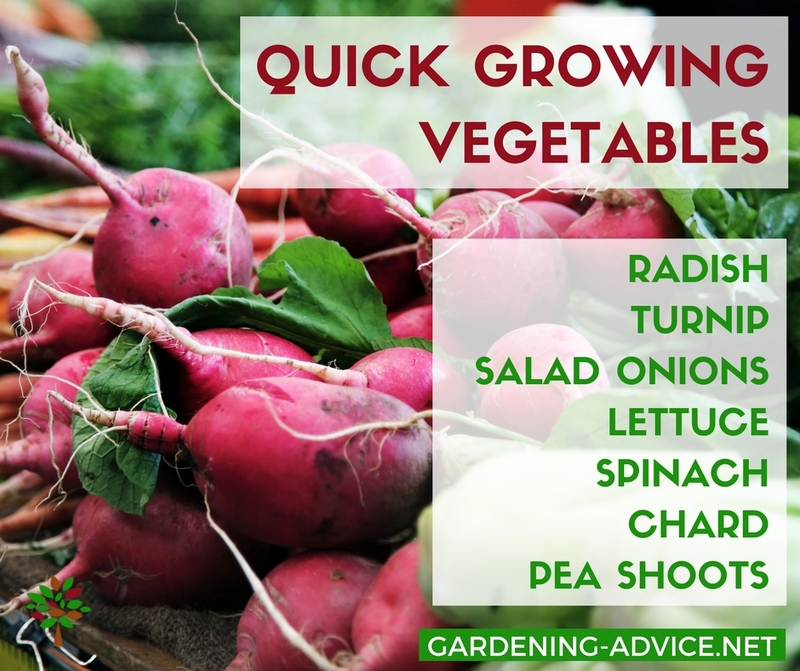 It matures quickly and is a tasty easy to grow vegetable that can be eaten lightly steamed or as baby leaf in salads. It is best sown into modular trays and then planted into the final position. Avoid growing spinach during the hot summer months. It will just go to seed without producing many leaves. Spinach will usually be ready for harvest within a month. Always pick only the biggest leaves, not the whole plant. That way you can stretch out harvesting over a longer period. Check here for tips for starting off seeds indoors. 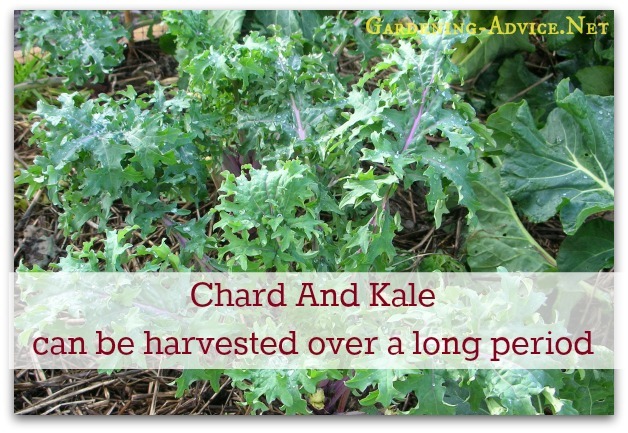 Chard and Kale are both very easy to grow and are highly valued for their delicious leafy greens. They can be started off early in a greenhouse to harvested from late May and June onward. 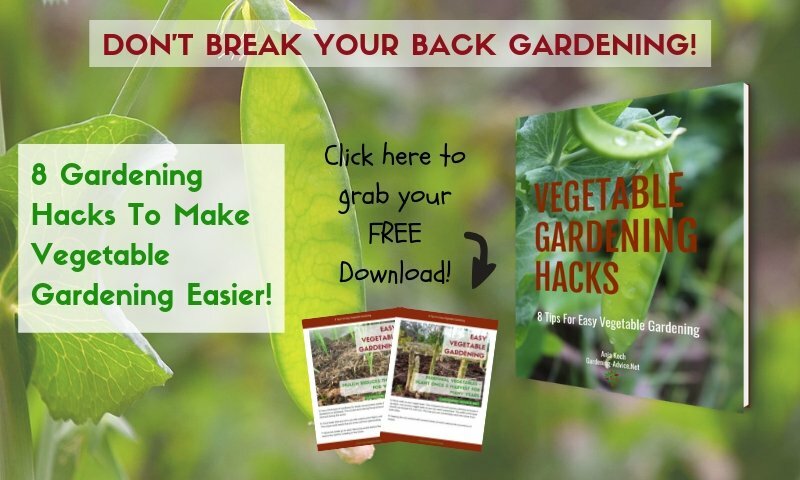 They are both very easy to grow and can be picked for months! You can even do this on a window sill! Just sow some peas into containers. Window boxes are ideal for this purpose but you can use other boxes or pots you have around as well. 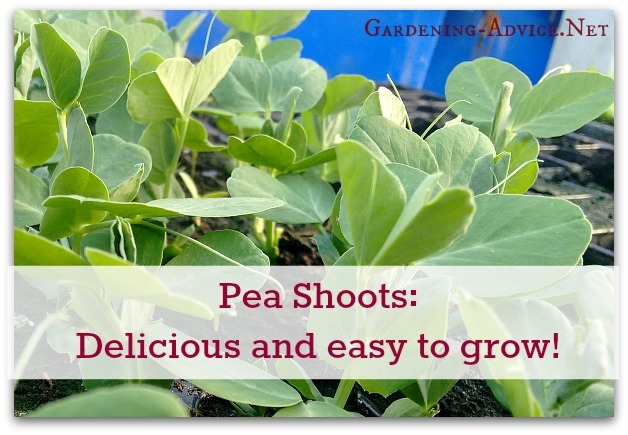 Peas germinate quickly and produce nice shoots even in lower temperatures in the spring. 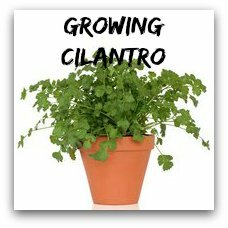 They are a great addition to the salad bowl and super easy to grow.